Rice bran oil intermittent hydration main equipment is refining pot and dry pot. Such as taking pressure drying method, the dry pan and refining pot is the same device. Rice bran oil intermittent hydration main equipment – the main oil refining pot is a cylindrical body with a conical bottom, built with three pairs of blades stirring Ji agitator drive motor through the governor, according to process requirements adjust the stirring speed. Stirring wing shaped vertical diameter of the outer ring fitted Shan indirect steam heating pipe. In the upper part of refined edible oil pot install equipment imported crude oil squeezed out of the tube. Pan mouth has many small holes along the ring-shaped distribution pipe tube for water use during hydration, alkali and alkali refining for use . Circle tube-shaped distribution pipe, can add one more evenly sprayed water to the entire surface of the oil. Pot also has a shaking of the head tube can swing up and down for the oil to be discharged according to different depths. Tip has a conical bottom discharge outlet pipe oil feet (with valve). In the bottom of the cone is also equipped with another alternate put tubing. The refining pot for rice bran oil intermittently hydration, but also for alkali refining, washing and drying at atmospheric pressure. 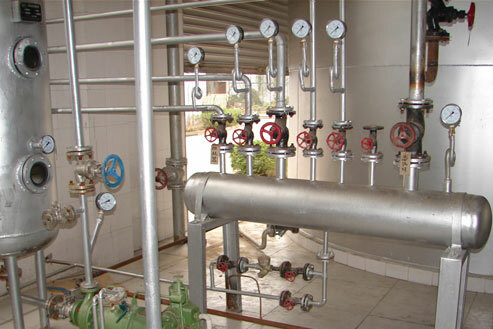 Therefore, the plant is equipped with two or more refining pot tend to be used interchangeably.